The Journal of Danubian Studies and Research is a trilingual publication (English, French and Russian) of the Danubian Studies and Research Center; it represents a scientific debate on the broad issue of the Danubian context. 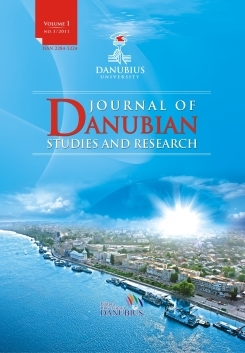 Although it seems circumscribed to the local area, the journal opens towards cultural studies, Europeism and cross-border realities, having as objective the reconstruction of an area of excellence in a significant part of Europe - the Danube Basin, with all that it implies in a high intellectual academic approach. Through the collaboration of universities in Republic of Moldova and Ukraine there are created the premises for opening towards other institutions of higher education in Central and SE Europe. We aim at having a Danubian community focused on a well defined problematic, thus creating a high quality scientific publication.